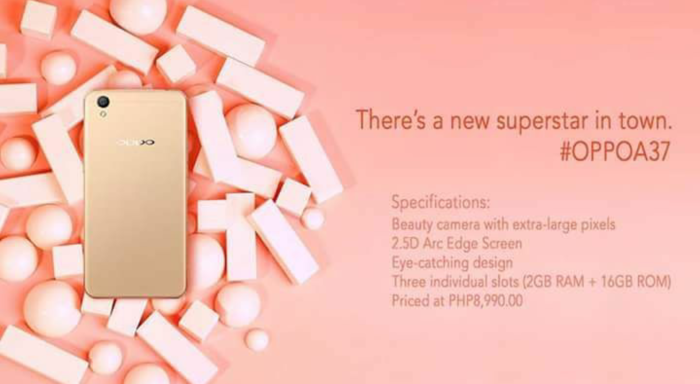 Extra-large Pixels for Bright, Natural Shots: The OPPO A37 uses a 5-MP front camera with a1/4-inch sensor and an 8-MP rear camera with a 1/3.2-inch sensor – both of which use extra-large 1.4 μm pixels. These cameras also feature backside illumination (BSI), which, in combination with the large pixels, maximize light capture and minimize noise, so users can take bright and natural-looking photos even in low-light conditions. 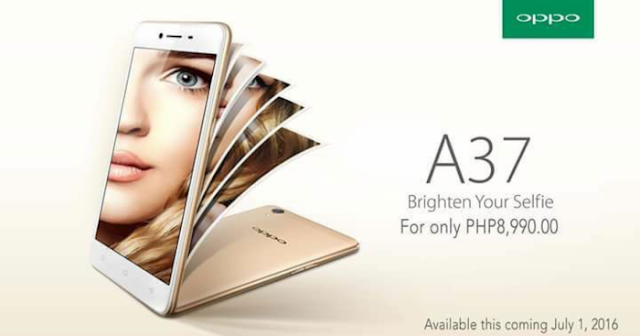 Natural and Beautiful – Beautify 4.0: To ensure that users always look their best, OPPO has also upgraded the A37’s photo-processing algorithms. Backed with data from millions of users, Beautify 4.0 has been optimized to capture selfies with bright, clear skin, and beautifully defined facial contours. The feature has been carefully crafted to highlight beauty, but never at the expense of feeling unnatural. Faster, Smoother, Lighter: The A37 uses OPPO’s newest verson of ColorOS 3.0 – fully upgraded for faster, smoother and more efficient performance. Combining a leaner design and purpose-built optimizations for a range of common use scenarios, ColorOS 3.0 has a running speed that is more than 20% faster than the previous ColorOS 2.1, with home screen loading speed increased by 35%, and installation speed for a wide range of the most popular apps increased by 41%.